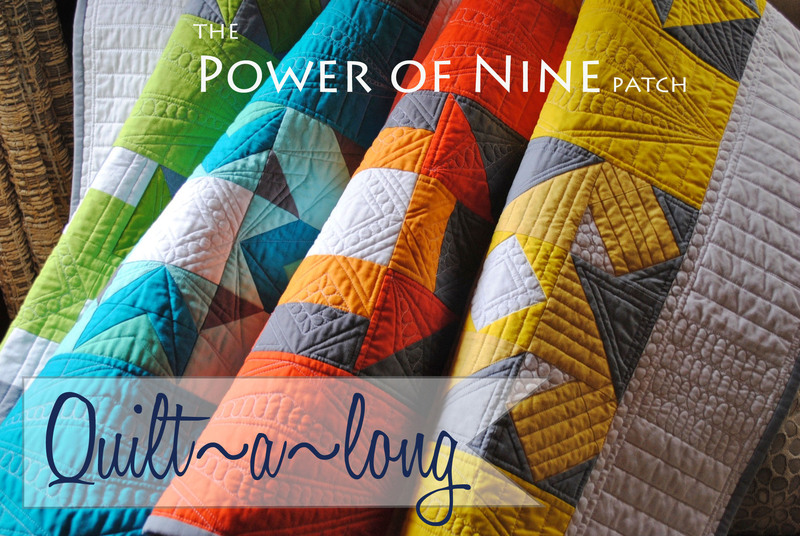 It’s time to kick off the Power of Nine Quilt~A~Long! You can purchase the Power of Nine Pattern in my shop. Before we begin block 1 we have to get our fabric together. 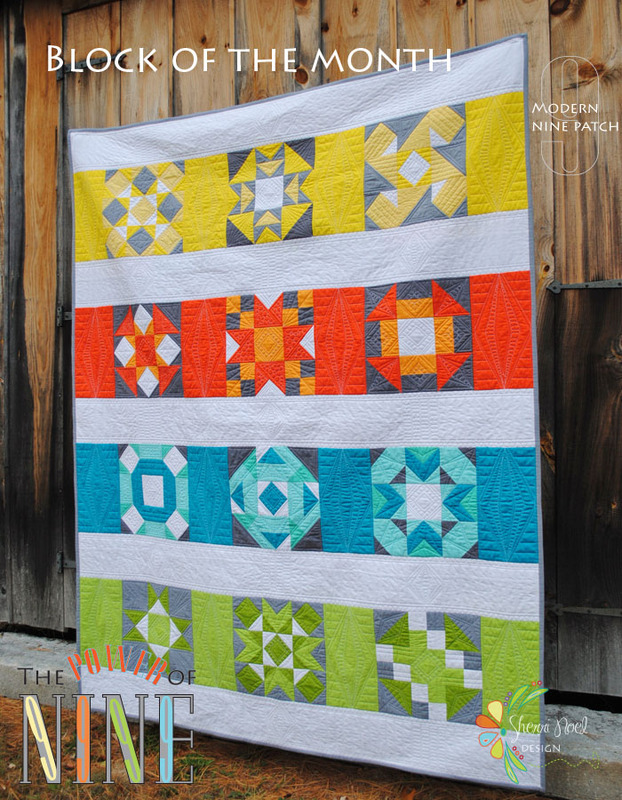 I’m making a scrappy version of this quilt and I’m really excited because I have lots and lots of Tula Pink fabric from other projects! 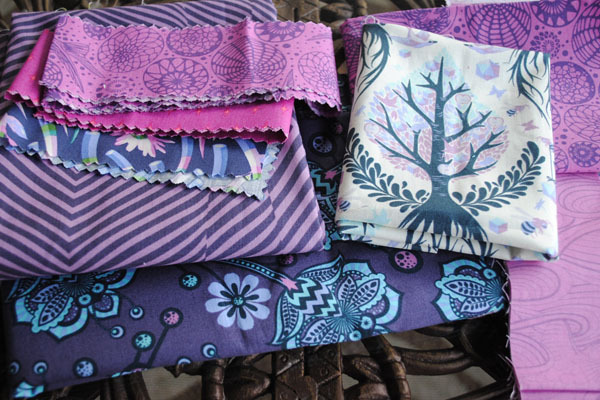 Ok, you get the idea… Tula Pink is one of my favorite fabric designers so I’m really looking forward to this scrappy version coming together with all this delicious fabric!!! 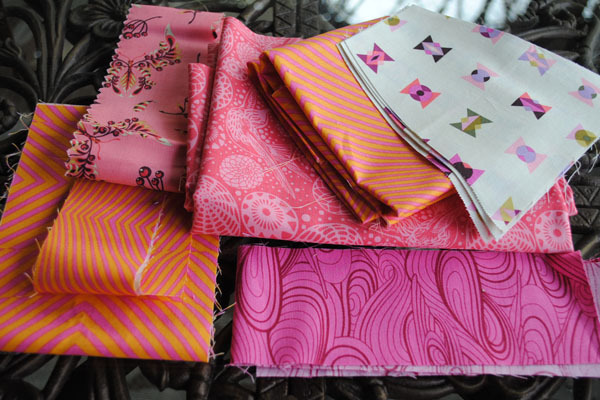 My quilt is going to be more like the power of Pink than the power of Nine. :) hehe I know, your feeling a little envious of all this fabulous fabric, but don’t be hating on me! 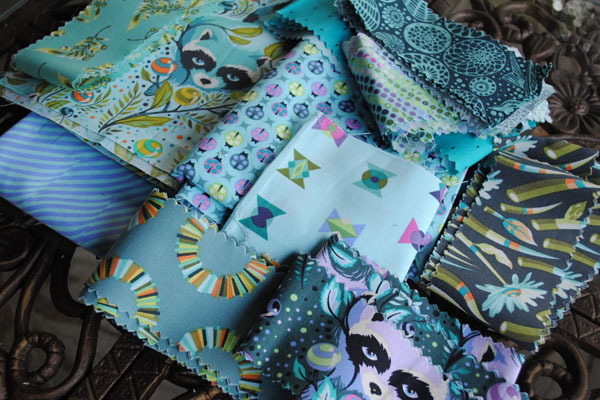 After all, we’re all quilters and I bet you’ve got a favorite designer stash too! You can follow all the quilt-a-long posts (to date) and catch up anytime! Modern Block of the Month & Festival! 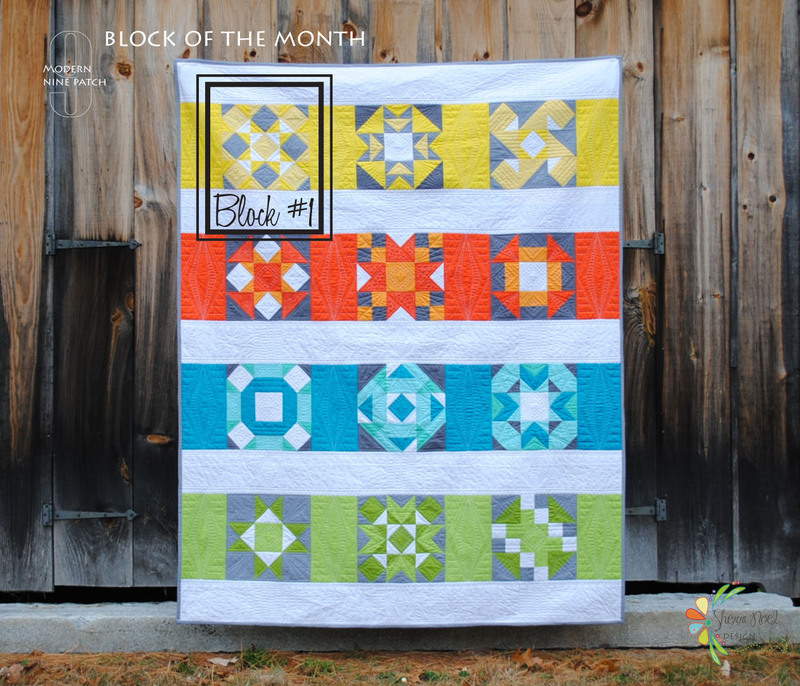 Quilt as You Go… Block of Month… Finished! 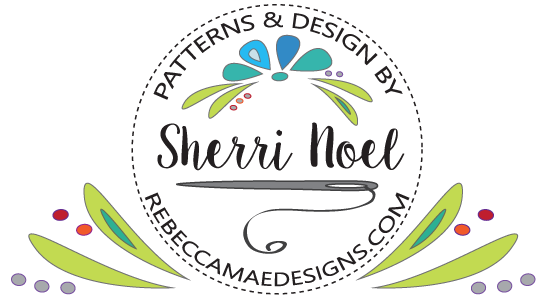 I just bought your pattern at my local quilt store yesterday and I am even more excited about making it now that I have found your blog with these post. 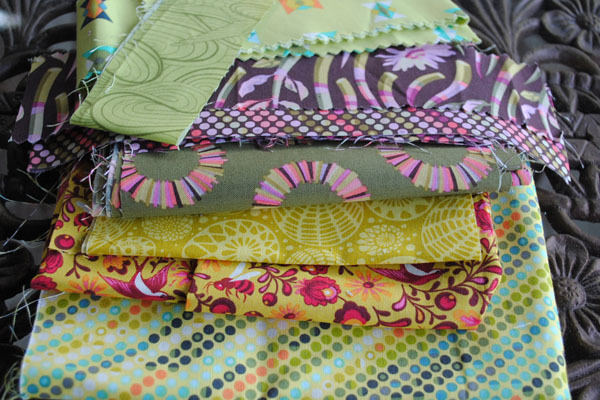 I love machine quilting and have always wanted to try qayg. It feels less daunting to try the detail/dense quilting that you have done.